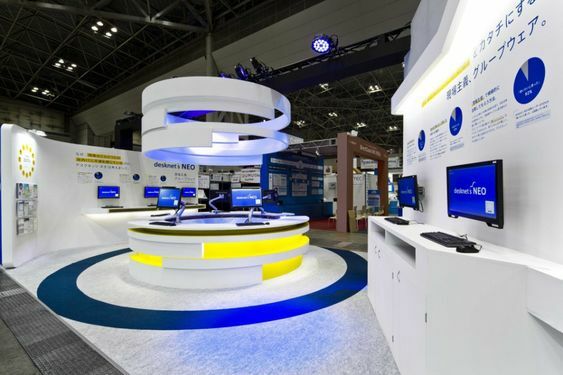 The dynamic style of designing exhibition stands is fast evolving in our golden age of technology. In Frankfurt, marketing using exhibition stands has often led to cut-throat competition in trade fairs demanding high levels of adaptability from the different companiesThis is participating. Over recent years, the marketing landscape in Frankfurt has developed into an experience economy which has worked to the advantage of brands and companies that are able to keep up with innovative trends in exhibitions. To create a definitive presence that highlights your brand as a leader in the Frankfurt fair your exhibition you will need an exhibition stand design that stands out rather than being at par with your competition. 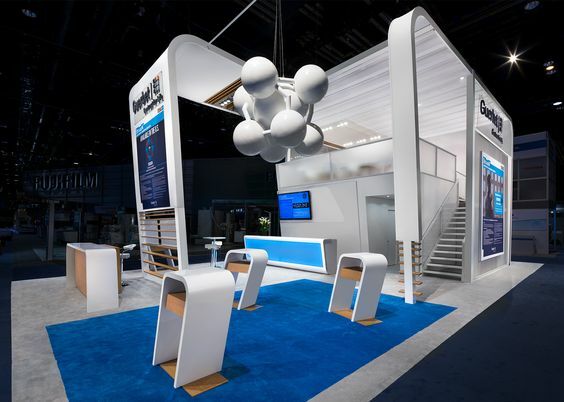 Frankfurt best stands designers bring an unprecedented return to your investment by incorporating an assortment of technological features which creates a very imposing environment to market your brand. The modern market is accustomed to all kinds of flashy advertisement in this digital age and as such, it takes a special kind of ingenuity to steal away the attention from other distractions in an exhibition fair. Technology is the defining point for modern lifestyles. Give your product the frontline in the Frankfurt fair by using product demos. This is very strategic as it places your product at the full disposal of your target market. Product demos give potential customers a personalized experience as they interact with your product line while you showcase the important attributes. Different companies can achieve such demos using various techniques including virtual reality and screens. Other technological aspects that appeal to the customer are the use of interactive technology such as touchscreens. These are very preferential as they give the customers a sense of control learning about your brand at their own terms. This is a very crucial property in the design of modern exhibition stands. Angled light boxes strategically positioned at the entry points of your exhibition space draw in passersby subconsciously. Mood lighting aesthetically amplifies your presence and gives your exhibition space the desired character attributed to quality. There are different ways to achieve ambient lighting, especially when launching a new product. Such include recessed lighting which creates a contemporary mood, colored lights, and spotlights which draw attention to your exhibition stand. With dwindling attention spans recorded today for most people tall stand design plastered with an imposing logo are ineffective in exhibition trade fairs. Graphics have a huge success rate, especially when designed in a bid to pass complex information in a very simplified and humorous manner. Nobody takes the time to read extensively anymore hence exhibition stands should be less wordy and more focused on life-sized images and highly visible graphics. Technological advancements in the field of exhibition aim to create a very specific atmosphere that strives for maximum brand awareness. We partner with multiple stands designers who have managed to stay relevant in Frankfurt by providing technological solutions that generate huge traffic and inspire customer loyalty which interprets to profitability. The most innovative exhibition stands strive to create the perfect balance between color, texture, light and general layout. Visual and audio aids effectively communicate the desired message to potential clients and interpersonal demonstrations clear all doubt and misconceptions about your brand.